What does it mean to be a data-driven marketer? How do you even get started? Everyone talks about the importance of tracking data and making decisions based on it, but no one tells you how to do it and what a data-driven marketing organization looks like. First, let’s talk about data. Clean and accurate data is always top-of-mind for B2B marketers because without it, your demand generation team can’t send relevant content to leads and your sales team can’t tailor their conversations with leads during each step of the buyer’s journey. 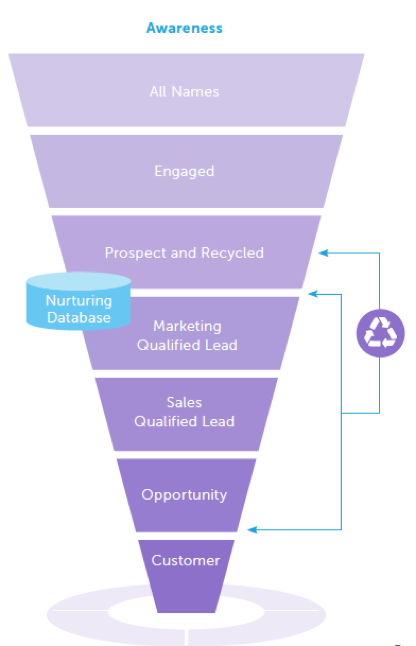 Here at Marketo, the marketing operations team owns all things data–cleaning our lead database, appending data from 3rd party sources, and segmenting our data. However, this data is not limited to who our leads are. It’s just as essential for us to understand what they’re doing. Marketing automation is a powerful platform because you can architect it to start tracking what your leads are doing through each stage of the buyer’s journey. This is actually where reporting becomes exciting and the data becomes actionable. But what actions should you take? Putting together a framework to understand your buyer’s journey is crucial for understanding how your marketing efforts can drive more leads to purchase and ultimately increase ROI. The often quoted statistic from Forrester Research’s 2015 report, “Don’t Let Muddled Messaging Compromise Customer Experience,” that as much as 90% of a buyer’s journey is self-directed is unequivocally true. Examining each engagement your prospects make can help you figure out what specific actions your leads are taking to progress forward in the funnel. The first task is to meet with your sales team and map out what your company’s revenue model looks like. A revenue model is essentially an internal version of your buyer’s journey, starting from when a lead first becomes aware of your business to after they become a customer and beyond. While a buyer’s journey is self-directed, clearly defining each stage helps power the health of your marketing funnel. What is the criteria for a marketing qualified lead (MQL)? How should sales handle leads that are not ready to buy? Are the steps in the buyer’s journey an accurate reflection of the progression towards a purchase? Once you have your buyer’s journey mapped out, the next task is to model it into your marketing automation platform. At Marketo, we set up two revenue modelers to track the buyer’s journey; one is used to track our new prospects and the other tracks the movements of our existing customer base. The reason for this distinction is because the campaigns that you run for new business acquisition are most likely different than the campaigns you run for customer advocacy and retention, and you’ll want to run metrics across the modelers individually for the two groups. Distinct models are useful for any time you want to understand different buyer journeys. For example, we set up a modeler for understanding lead flow through our nurture campaigns. Once you have leads flowing through your modeler(s), at a high level, you can start measuring the conversion rates from one stage to the next. This is your first piece of data, and it can be used identify whether there are bottlenecks in the lead’s movement towards a purchase. Now that a framework is in place, let’s talk about the more granular pieces of data across the buyer’s journey. Do your key stakeholders have the same viewpoint? To identify the right metrics, be clear about your business objectives first, then determine what to measure. Each phase of the buyer’s journey will map to different business objectives and thus will need the matching metrics to determine “success.” Different stakeholders may also define success differently depending on the role and business function that they have. 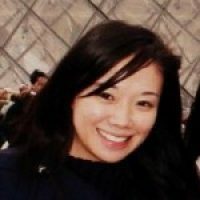 For instance, marketing campaign managers are probably interested in understanding the marketing performance on a program-by-program basis, while a marketing director might be more interested in how the different marketing channels are performing against (and with) one another in order to allocate marketing spend accordingly. Program Cost Report: This report gives top-of-funnel metrics such as program successes and new names, and it helps our demand gen marketers determine the cost-effectiveness of their recent campaigns. Program Opportunity Report: This report identifies how much pipeline has been generated or won by past marketing programs. First-touch (FT) and multi-touch (MT) reports break down revenue pipeline created and won so that our demand generation team can start trending on program ROI. Using the data from these two reports together can help a demand generation marketer make better decisions around allocating cost to programs and investigate why or how some programs are performing better than others with respect to generating pipeline. Reporting can certainly help prove ROI. However, as a data-driven marketer, you will need to also improve ROI by continuously tweaking your reports, asking yourself what other data you can collect, and determine what’s effective for guiding leads towards purchase. The hard (albeit exciting) part of creating a data-driven organization is that the practice never ends. As marketers, we always want to make sure that we’re delivering the right message at the right time to the right person. However, it isn’t always easy. Continuously improve your data. This will help you deliver personalized and real-time responses to the right people. Create a consistent omni-channel buyer experience. This extends from marketing to sales. Sync with sales regularly to understand their data needs and what gaps they are missing in engaging with prospects. Focus on understanding the needs of your buyers. Tailor your messages around solutions and deliver content that is pertinent to your buyers’ searches. Ready to become a data-driven marketer? 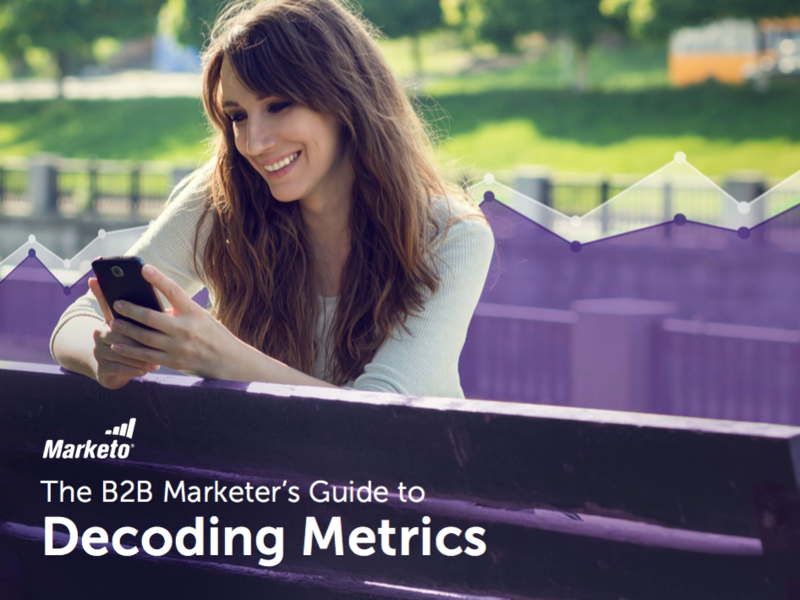 Download our ebook The B2B Marketer’s Guide to Decoding Metrics for an in-depth look at how to get the steps above rolling.